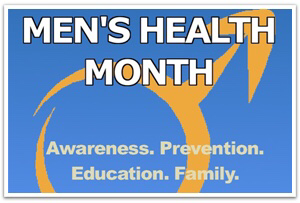 Wellness Wednesday–Men’s Health Month – Naturally L.A.
June is Men’s Health Awareness Month. It’s a time where community health groups encourage men to tend to their health and for the women in their lives to help them. Clearly, men not making their health a priority is a problem if a month has to be set aside to increase awareness. I can personally attest to this problem. In the five years that I was dating my husband, he never went to the doctor until he began experiencing symptoms he couldn’t ignore. My dad, though he was always a fitness enthusiast, bike riding, jogging, etc., he, too didn’t go to the doctor regularly until he developed a condition which required him to. And even with that, he still avoids going until an incident forces his hand. It really makes life hard for a woman to have to put that on her plate along with everything else. But this post is not a griping session. Our men need our help. Whether it’s making appointments I do for my husband or dropping reminders about needed follow up to my dad, or letting them know about local health fairs which may be less intimidating for them, it could be just the bit of encouragement they need. I urge you to find out what’s going on in your community to support this initiative and let the men in your life know. Make a date of it.